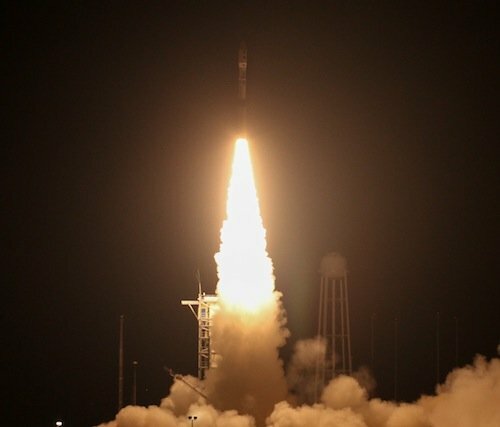 Here is a picture of the Minotaur 1 rocket being launched from Wallops Island, VA, and carrying our CubeSat to orbit. 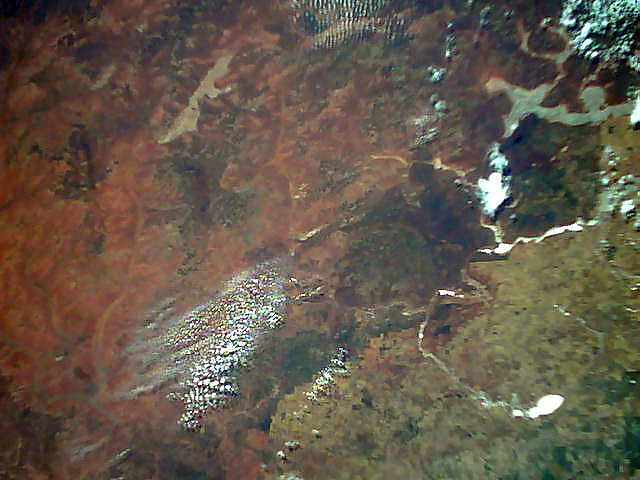 Here is the first photo of the Earth downloaded and assembled by Bill McGrath of LED Dynamics. 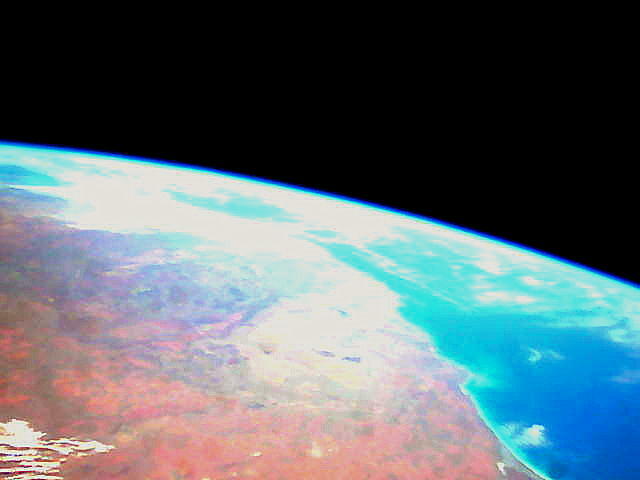 It is of the North coast of Western Australia, looking towards Port Hedland. 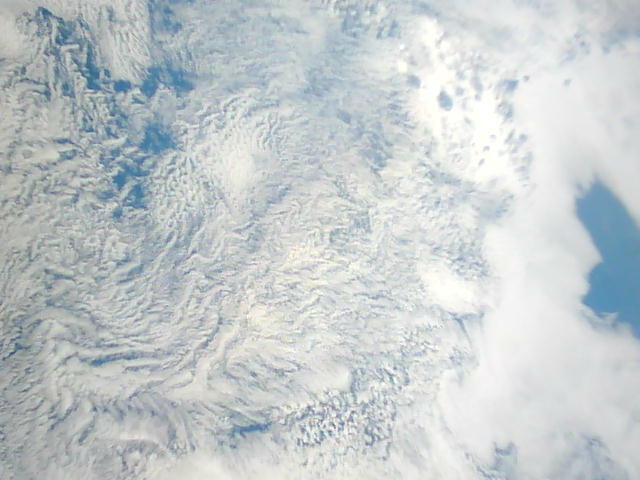 Here is the second downloaded photo of clouds over the ocean. Here is the third downloaded photo of Yarra Yarra Lakes, Mongers Lake, Lake Moore and Lake Austin. North of Perth in Western Australia. 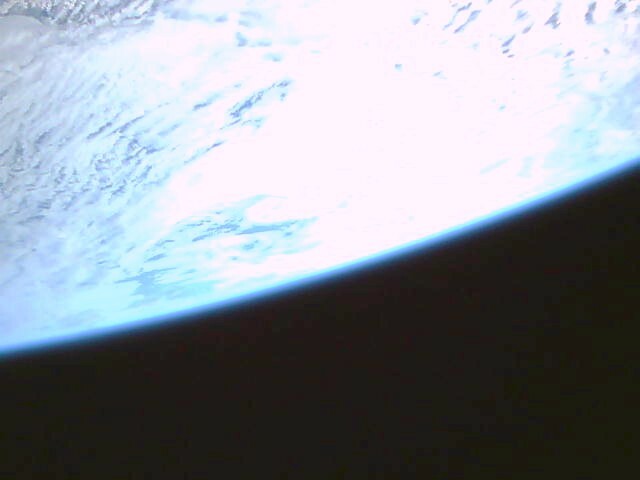 Here is a photo of the cloud covered edge of the Earth.